Born in Palm Beach, Florida, Harold Martin was raised on the grounds of Sea Breeze Community and has been part of the Hobe Sound Ministries from his earliest days. 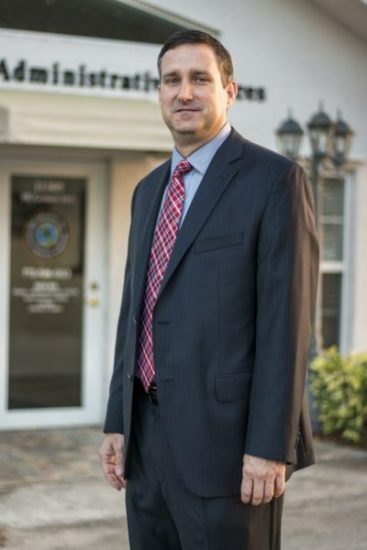 Harold attended Hobe Sound Christian Academy and Hobe Sound Bible College where he graduated with a Bachelor of Arts in Intercultural Studies. After graduating from HSBC, he and his young family moved to Tennessee where he enrolled in Moody Flight School. After successfully completing his training and acquiring a pilot’s license and mechanic’s license, he taught on staff at Moody for two years. In 2002 Harold Martin joined the staff at Missionary Flights International. For fourteen years he was a faithful part of a team that served over 400 mission agencies in the Caribbean, including Hope International Missions. Harold orchestrated MFI’s disaster response efforts following Haiti’s massive earthquake in 2010. At the time the FEA Board of Directors asked Harold to be president of FEA, he had risen through the leadership ranks of MFI to be its executive vice-president. Harold Martin is an excellent leader with a passion to continue FEA’s vision of serving the church and reaching the world by making disciples. With God’s help great days are ahead for FEA Ministries!